Buy 3, Get 15% Off Select Candy & Food Items. Discount Applied in Cart. These took me back to my my childhood. Many years ago I used to buy these jelly nougats. They were shaped in a rectanguler with more jellies. They were firmer then they are now. Nougat seemed harder. Loved them just the same. I wish there were more in the bag. I just like the candy and it is hard to find now. Childhood Memories - Just Like I Remembered! I love the way they taste! Love these my absolute favorite! Didn't think I would find them, and there they were. Thanks! I do buy this product again and again! I love this candy! My mouth waters just waiting for Jelly Bean Nougats to arrive in the mail! I just wish I lived closer so it wouldn't take 7 days for them to arrive! Good taste easy to eat. Will buy again. I use to always get them. Now can't find till I saw you booklet .I love there taste awesome unbelievable. The chewiness and the nougat . These disappeared very quickly. Good old fashioned treat. Loved these when I was young and had teeth. Now I have to work a little harder and after I work a bit. I can still enjoy them again. A nice reminder of Christmases past, when family got together, we opened gifts, and shared a large family meal. Those days are long gone but these help bring back a bit of the season. 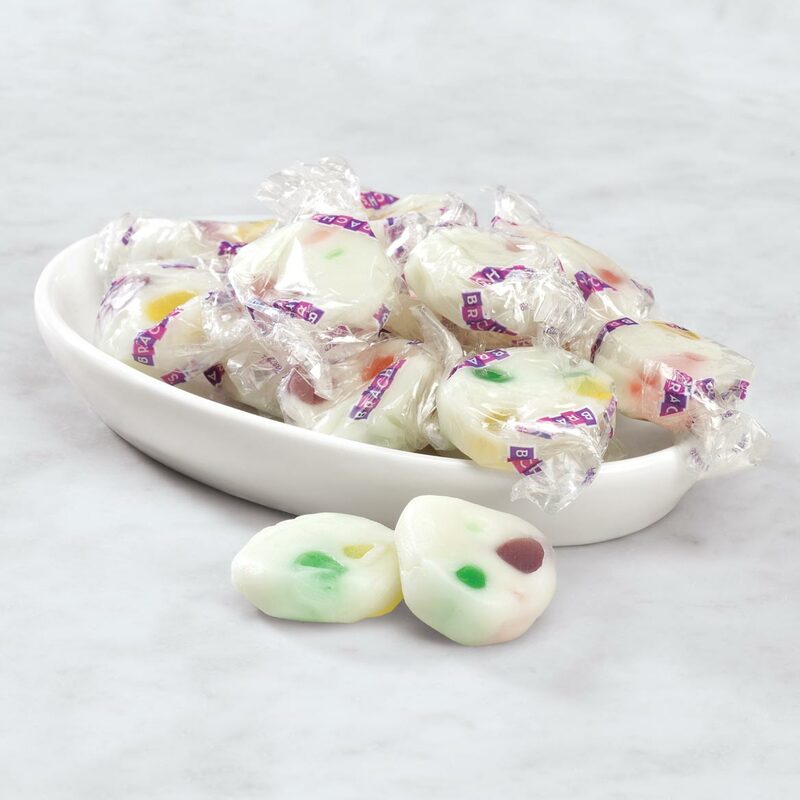 I am old enough to remember when you could go to a grocery store and there would be bins of wrapped Brach's candy to select and buy by the pound. These nougats were always one of my favorites. Have now purchased three packages online to treat myself. They are soft, easy to chew, not overly sweet and with them being individually wrapped I can just take a few pieces and know the rest will stay fresh. 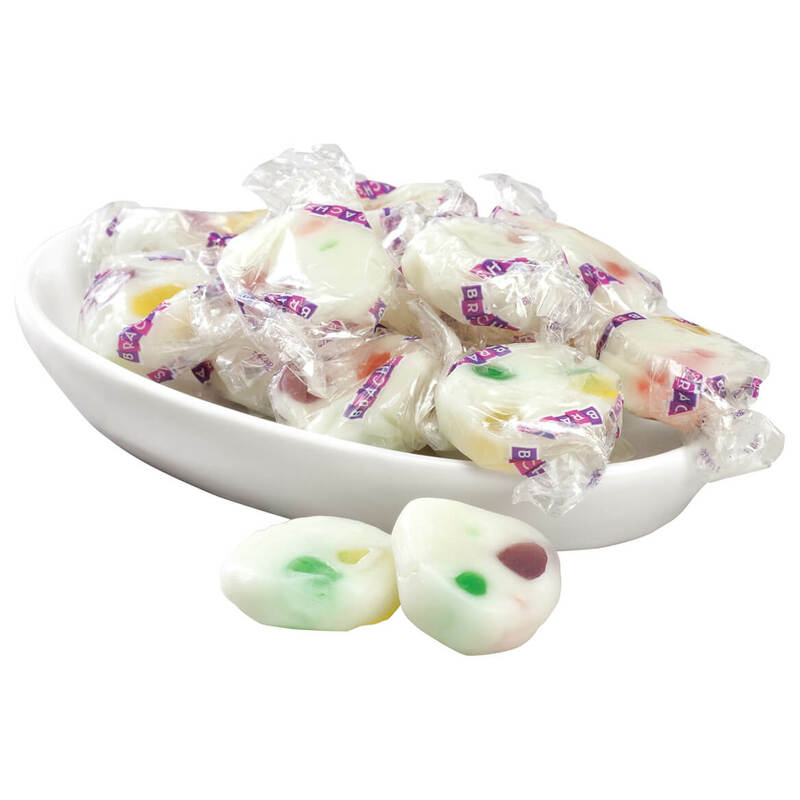 Used to find them in grocery stores when I was a kid and they were my favorite candy. Something I like and remember from my childhood days. Reminds me of nougats we had as kids. I bought these because I use to eat them when I was little and this is the only place I can find these. Haven't had them in years. i remember these from long ago.